Blue Diamond Classics estimates this item will ship on or before May 1st. Freshen up your classic pedal car or finish out that new build - with a slick wheel and tire kit from Speedway Motors! 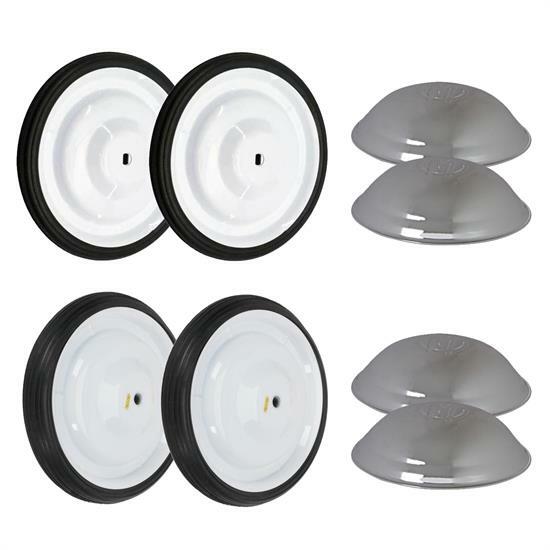 We packed together our most popular white wheel option with a chrome hub cap to save you valuable time and money. This wheel is constructed from steel and has a 6-1/2" diameter. A nice white powder coat finish makes for a nice looking product. Get yours today!